Heralded across the globe, Scotch whisky is probably the most esteemed (and delicious!) of all spirits. Presented in a myriad of different styles, regions and distillery profiles, there is truly a dram for everyone. Such is the complexity and variety of the drink that even the greatest Scotch fanatic will be continually impressed, and educated. Scotch whisky has a history stretching over 700 years, with the first written mention coming in 1495, when a Scottish King order a vast quantity of aqua vitae. In all likelihood it is much older than this, starting life as a clear spirit produced by farmers with excess barley. Indeed, the transformation of whisky from a clear to dark liquor was probably accidental, a side effect of the wood barrel storage that was ubiquitous at the time. Since this first regal approval, whisky has enjoyed a spotty history, often falling on the wrong side of the law: at the end of the 18th century there were only a handle of legal stills in Scotland, and an estimated 400 illegal ones. It now has a legal definition: it must be produced in Scotland, the only additives allowed are caramel colouring and water, and it must be aged for a minimum of three years and one day before it can be called "whisky". Yet it is in the last two centuries that Scotch whisky has really flourished, and become the modern, industrialised gourmet product it is today. This is in part due to government tax relief at the top of the 19th century, and the devastation of cognac production at the end. However, even within this two hundred year timeframe, Scotch has faced adversity- two world wars closed production for many distilleries, and the whisky depression of the 80s hit the industry extremely hard. Happily, there was an upturn, and whisky (particularly single malt) is now perhaps more popular than it has ever been. Modern Scotch whisky can be split into three broad categories: blends, grain and single malt, each of which offer their own delectability. Blends have historically dominated the whisky industry, before the "invention" of the single malt (as the luxury good powerhouse it is now) and continues to be the most bought of all whisky varieties. Grain whiskies are perhaps the "forgotten son" of Scotch whisky, yet they (particularly at great age) offer marvellous flavours and intensity. Certainly, there simply would not be single malt whisky if not for grain whisky, which provides the backbone to so many blended whiskies, who in turn are the stalwart of the industry. Despite their crucial role in the industry, there are far fewer grain distilleries than malt whisky distilleries. Nevertheless, they produce an enormous amount of spirit, due to their column still, continuous distillation methods. Grain whiskies are typified by flavours of toffee, buttered toast, vanilla and oak, though as with single malt, there are varying distillery styles, from Girvan in the South, to North British in Edinburgh, to Invergordon in the far North. 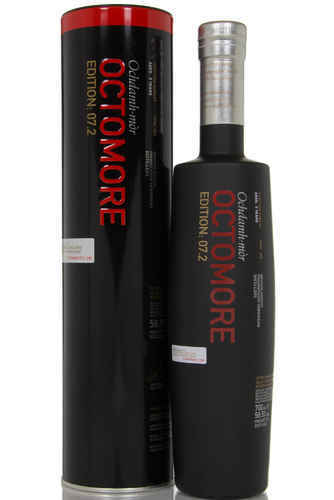 Single malt whisky is a behemoth of the spirits world. It rivals fine French wine for complexity and is equally revered. There are around 100 distilleries in Scotland, each taking merely malted barley, yeast, water, a copper still and oak barrel, and time, and producing a different whisky. Traditionally, production areas have been split into six separate regions: Speyside, Highland, Islay, Islands (though, this region is unrecognised by whisky’s governing body, the Scotch Whisky Association), Lowland and Campbeltown. Each region was said to have particular features and flavours, and whilst this might have been the case once, now there is much overlap between the flavours of each regions. However, two regions do have somewhat distinct features: the extremely peaty whiskies that define Islay whisky, and the additional distillations and light character of Lowland whiskies. Again, distilleries from other regions have created whisky in this style very successfully. Furthermore, coastal distilleries often have a pronounced maritime aspect to their expressions. The single most important factor in determining a whisky’s quality and flavour is the cask in which it matures. As previously noted, the effects of barrels on the spirit were most likely discovered by mistake and necessity. Yet now, the choice of casks is now one of the key decisions that a master distiller has to make. 80% of all casks used are ex-bourbon, imported from America, granting the Scotch within flavours of caramel, woodspice and vanilla. Sweet wines such as Port, Sauternes and Marsala provide another popular option, but it is Sherry that is the stand out wine of choice for distillers. It is not just a matter of chucking the spirit in any old cask and reaping the delicious rewards- there are many factors to cask choice: the number of times it has held whisky before, the age of the wood itself, the size of the cask, and the quality of the initial producer. 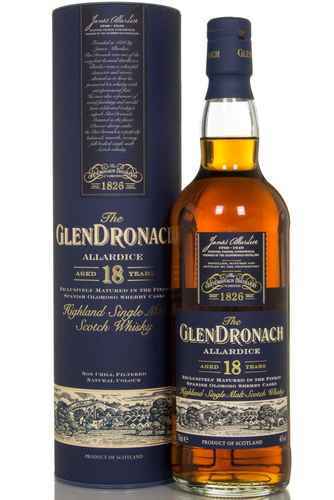 Some distilleries, such as Bruichladdich and Glendronach, pride themselves on their ability to choose the very best wine casks. Scotch whisky is extremely important to the nation of Scotland, employing over 10000 people, adding £4billion to the economy and being a point of national pride. Most of all, though, Scotch whisky provides the people of Scotland and beyond with happiness, conversation and friendly warmth.